I found this on a Spanish blog, it really did make me laugh when I saw it. There's more silliness over there. If you want to check it out just follow the link under the photo. The blogger also has a Pinterest page. 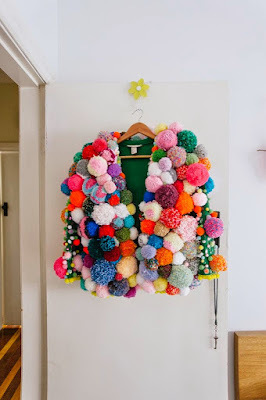 It focuses on yarn but it includes some really cute pom pom projects as well. Many of them focus on home decor, toys and accessories.